Typically you’ll want to invest money on a regular basis to build up a capital sum for the future. You might be planning for your retirement, want to generate investment income to top up your pension, save for a deposit to buy a house or buy a holiday home, provide for school fees, or simply create a secure nest egg for the future. Westerby Investment Management offers a range of tax effective investment and savings solutions constructed for real medium to long term growth. With careful planning and advice, we’ll guide you through what can appear a complex world of saving arrangements, including regular savings into Insurance, Individual Savings Accounts (ISA’s), and Unit Trust Schemes. Are you looking for capital growth or income? When do you need to access or withdraw capital? When considering capital investment, we begin by establishing your goals. We encourage you to look at a variety and spread of investment vehicles, keeping risk to a minimum and taking proper account of your tax position. Our advice encompasses all types of lump sum arrangements including Discretionary Share Portfolios, Unit Trusts, Investment Trusts, Individual Savings Accounts (ISA’s), Investment Bonds and other financial instruments. 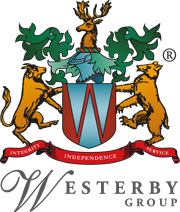 Westerby Investment Management gives you savings and investments advice tailored to you as an individual and to be as tax efficient as possible. As Independent Financial Advisers, we offer impartial unbiased advice that is not tied to any particular product or investment vehicle. For the more sophisticated investor with substantial wealth, the use of trusts often plays an essential, if not vital role in planning investment strategies. In particular, offshore trusts can defer taxation for a considerable period of time, potentially leading to greater capital gains within the trust. Protection of investments beyond your or your partner’s lifetime is important to preserve your estate. By careful appointment of trustees and by clearly defining their powers to act on your behalf, you can make substantial tax savings. You also ensure that your beneficiaries are certain to receive the benefits of trust income and capital in a manner most appropriate to their needs. Used in conjunction with a carefully constructed will, letters of wishes or in some cases the use of a power of attorney, a trust can provide the flexibility and security needed to protect your wealth during and beyond your lifetime.